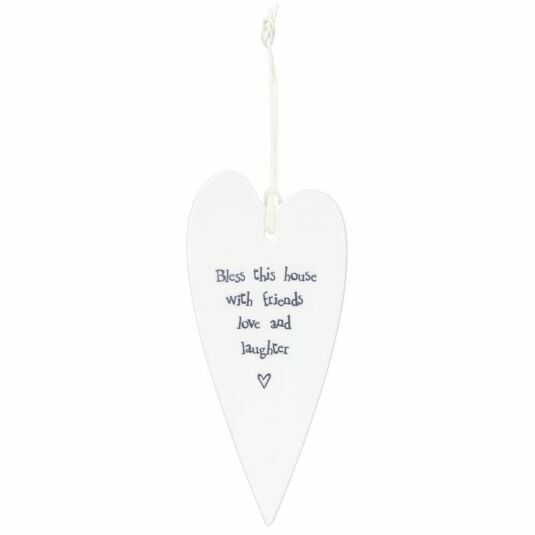 This gently rippled porcelain heart is an excellent gift or a house decoration you can hang on the wall or the door so that its sweet message can be read. 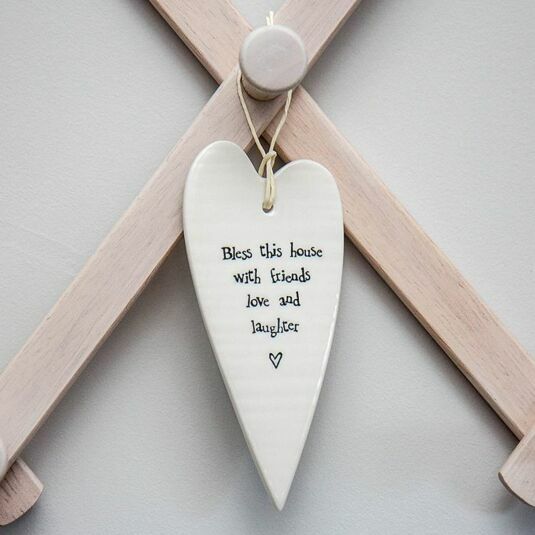 The words on this heart read: Bless this house with friends love and laughter. Ideal for a house warming present!